A lot of us conservatives have long written it off. California is too changed: too brown, too illegal, too bloated, too listless. All the good people have left, and all the bad people have stayed. You know the rap. Usually, we don’t put it this crudely, but this is what it amounts to. Open borders are fine, but then so are their proponents’ gated communities and the growth in coastal private academies and prep schools, as the public schools score near bottom in the nation’s test scores. Water transfers are the obsolete projects of a bygone age, but not those such as Hetch Hetchy, vital to Bay Area survival. Expensive gas and electricity are good green policies, but their deleterious consequences fall most heavily on the distant inland poor of the much hotter and colder interior. The nation’s highest basket of income, sales, and gas taxes can be either avoided or easily paid by those who are most in favor of them. And, yes, there are enormous demographic changes in the state going on. One in four residents was not born in the U.S. Somewhere near 4 million Californians have left in recent years. The Democratic party has largely bifurcated into a pyramidal, medieval organization of the few very wealthy and the many very poor, the former pursuing iconic green and identity politics and gender issues, the later increasingly dependent on social services. California is a state with the nation’s most billionaires and some of the highest per capita income communities in the country, while home to one-third of the nation’s welfare recipients, with a fifth of the population living below the poverty line. My own rural community is now part of a tri-county region that is more impoverished than Appalachia; most of my former neighbors’ farmhouses now have ad hoc trailers and shacks behind them, often resulting in ten or 15 residents per home. Sheriff raids to break up drug production, prostitution rings, and gang violence are not trumped-up conservative angst, but common in our rural neighborhood. Is there some hope? A recent April poll from the liberal UC Berkeley Haas center proved a shock in reporting that 24 percent of the survey’s participants agreed that it’s “very important” for the U.S. to increase deportations of undocumented immigrants, while 35 polled said it was “somewhat important” — an aggregate majority result expressing a desire for future legal immigration only. The poll included a majority of Hispanic residents, upon whose schools, communities, and social services open borders and illegal immigration most heavily fall. Currently there are early pushbacks against the new steep gasoline taxes; high-speed rail, whose half-built overpasses are our modern Stonehenge, has lost most public support. What, then, is the chance of California’s recalibrating as a conservative state? It largely hinges on meritocratic, measured, diverse, and legal immigration that studies show most successfully leads to assimilation, intermarriage, and integration, a melting pot that makes residents see their particular tribal affiliations as incidental rather than essential to their characters. When that happens, millions of Californians of all backgrounds will more likely vote for issues such as reducing taxes, encouraging energy development and middle-class housing construction, and investing in infrastructure such as freeways and reservoirs (rather than building impossible utopian high-speed rail projects), reforming pensions, curbing teacher unions, and allowing more charter schools and school choices. In other words, the present-day Democratic voter will someday question why such high sales, income, and energy taxes result in such poor social services, as the state’s highways and schools rank near last in the nation. The new federal tax-reform bill will be devastating to California’s mostly blue coastal professional class that can no longer write off from their federal taxes their huge state income-tax bills and the staggering property taxes they pay owing to spiraling home prices and reassessments. When that reality hits, no one quite knows whether it will prompt further flight of the well-off (only about 150,000 tax returns in a state of 40 million account for half the state’s income-tax revenue) or lead to popular outrage over the state’s high income taxes (the top-level brackets reach 13 percent). Of course, it is common to have a nostalgic view of Ronald Reagan, as model of genial, principled conservatism that might return to accelerate California’s salvation. But a review of the 1966 gubernatorial campaign reveals one of the nastiest races in California memory. Reagan gave back everything that Edmund Brown Sr. dished out to him, and won by rivaling a later Trump in his often cruel invective. Reagan castigated “welfare bums,” and promised to clean up the “mess” at Berkeley. And when governor, after failed popular demands that he be recalled, Reagan kept at it with rhetoric that again rivals Trump’s worst. Of the People’s Park demonstrations, he declared, “If it takes a bloodbath, let’s get it over with. No more appeasement.” And he joked that he hoped the free food for poor communities leveraged by the terrorist SLA might be infected by botulism. Quite simply, Reagan did not call for a thousand points of light or a kinder, gentler state. Reagan damned the state’s judiciary (my mother, a later superior and state appellate court justice, was furious over his attacks on the state’s justices) as soft on crime and pushed hard, unsuccessfully, for death penalties to be carried out rapidly. He won the governorship in part through his prior renegade stance at the boisterous 1964 San Francisco Republican convention, when he joined the right-wing populist Goldwater, who snatched the nomination from the old-guard low-energy Rockefeller Republicans. 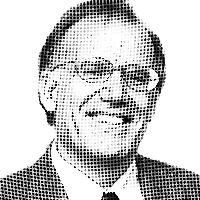 He further infuriated the Republican status quo by running a last-minute insurgent campaign for president against the establishmentarian Nixon in 1968, and in 1976 by challenging Republican incumbent President Jerry Ford — an acrimonious, insurrectionary, and divisive primary for which Reagan was later blamed for the Carter victory. Indeed, the Republican establishment, despite its current nostalgia, never much liked Reagan until he won the presidency, blasting him as a yahoo who wanted to keep the Panama Canal or a voodoo economist who thought that cutting taxes and spending more on defense would lead to balanced budgets. I do not know who the next charismatic California Republican leader might be to lead a Reagan-populist revolt against the welfare state. Most likely, if it is to happen, it will probably be a Hispanic conservative who will sound a lot like the take-no-prisoners Reagan, and who will likely be just as shunned by the state’s and nation’s Republican establishment.